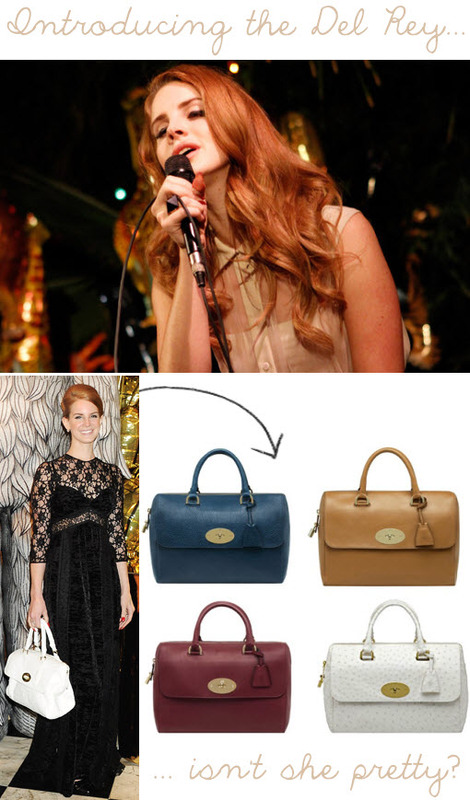 Lana Del Rey gets the fashion world’s nod of approval, as she’s the latest starlet to have a bag named after her. And not just any old bag. A Mulberry bag. All that schmoozing with Anna Win-tour, Palermo, the Olsens et al during Fashion Weeks clearly worked a treat. Obviously it’s nothing to do with her effortless style or anything. Nope. Definitely the schmoozing.